I never read J.B. Phillips classic book, Your God Is Too Small, but I’ve always liked the title. Using the illustration of “putting God in a box,” Phillips says that we as humans try to limit an infinite God with our finite minds. One of the ways we “limit” God is by failing to understand that He had a rich and complex personality. God has many names including Father, Lord, I Am, God Most High, and so on, yet Bible translators have simply been content to refer to the Almighty as simply “God” or “LORD” (Yahweh/ “I Am”). Truly, we have made the Bible far too simple and God far too small. Instead of using a handful of names for God, The Names of God Bible contains almost 50 different names of God, which add insight and color to the God I thought I knew. Perusing the Old Testament with this Bible adds so much insight to God’s relationship with Israel and His continuing relationship with us! The Names of God Bible is presented in the God’s Word Translation (GW), which I found to be very readable yet scholarly. The preface of the Bible explains the history of the GW as well as the translation process. I read from various versions of the Bible when studying, and have found GW to be among my new favorites. It’s not just a modern take on the Bible; GW also preserves its literary integrity. The Names of God Bible contains a pronunciation guide for each name of God, as well as an alphabetical listing for each name. I can look up a an English translation like “Son of David” or Hebrew name like “Yahweh Roi” (The Lord is My Shepherd) to find a two page write-up on the specific name, what it means, and where it is referenced throughout the Bible. Each chapter of the Bible includes a well-written introduction. Usually when I first meet someone, I generally introduce myself and ask the other person his or her name. How can we know about God’s richness when we don’t even know His names? (Being as He’s God, He can have as many names as He wants.) If you want to know God, if you want to call out His name, and if you are serious about studying your Bible, then The Names of God Bible with the GW translation is just what you need. Does this sound like a Bible you might try? Are you familiar with the God’s Word Translation? What is your favorite name of God? How could this Bible help you with your own study of Scripture? ← GIVEAWAY!!! Jason Gray’s “Remind Me Who I Am” is #1 on iTunes! 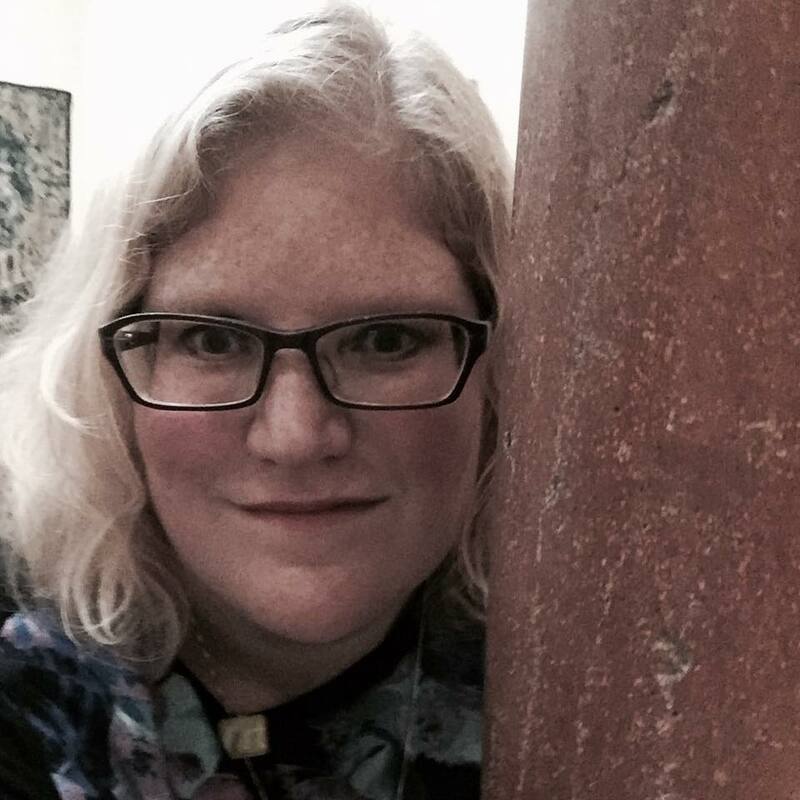 Amy Sondova is a writer specializing in media writing, including interviews and reviews, as well as blogging. Having interviewed over a gazillion of the top musicians, writers, and speakers in the Christian media, Amy has also written countless columns, reviews, and articles on various topics including mental illness, self-injury, working with teenagers, and Christianity. Amy currently writes youth Bible studies, for her blog, SheIsBeloved.com, runs Share Beauty Project (ShareBeautyProject.com), and is currently working on her first book. She lives with BFF Sarah and has a Shih Tzu named Maddy, a cockatiel named Arrow, King Karl the Snail, and a fish tank known as The Bachelor Pad. She just might be Captain America's fiance. PS on I stand with them. The Easter Bunny gets me. This year I think my basket for BFF Sarah constructed entirely out of candy came out great! Anything to help her get a sugar high at work.